I have released this EMA to help future OU students who are studying on the same course. It received a mark within the 70% region and will hopefully be of use as an example or guideline for DD308 students to look at. What role does mediation play in social worlds? In this essay we shall investigate the role that mediation plays in social worlds by examining a wide scope of materials and looking at various concepts and theories including securitisation and governmentality. We shall also be exploring the question in relation to the key themes and sociological concerns of the course: attachment, conduct, security, matter, the individual and mediation and explore how these operate and interconnect. By looking through the lens of immigration and asylum, and how images of asylum seekers and immigrants are mediated, we will see how they are politicised and mediated in relation to established security and cultural norms of nations, by calling on examples to demonstrate how mediation plays a key role in the making of social worlds. Before we continue, it may first be useful to explain and define the term mediation, what it stands for, how it can be employed and its variations of terminology. The most obvious example is through the media itself, i.e. print, television, internet, which mediate news events and information to people, each with their own objective viewpoint or in the context of a particular ‘agenda’. They are also, “…involved in the production and circulation of ideas, imaginations and meanings” (Open University, 2008). Mediation is also in another sense a form of translation, from turning something from one thing into another or from one social world into another. Things as abstract as ideas can be brought in to existence through mediation by the likes of symbols, the use of words or chosen language. Mediation is also a tool for shaping cultural or social experience through norms, habits and routines. Culturally and socially specific, it creates a meaning that can never exist outside of the social worlds that make it (Open University, 2008). Social worlds, meanwhile, are incorporated in DD308: “…signal the fact that human beings are distinguished from all other creatures by having no natural environment or habitat,” and therefore, “…they have to construct their own means of survival; uniquely, human beings have to make their own ‘world’” (Turner, 2008). It is with this idea of humans making social worlds, coupled with the suggestion that there is a sense of mediation present in every social experience (Carter et al, 2008), that we set a context for the discussion. An effective way of exploring the role mediation plays in social worlds is by examining how asylum seekers are constructed, translated and securitised. Asylum seekers can be presented as security threats, through the media for example, in order to keep them out of a country and when mediating what is and isn’t a security threat can depend on who is describing the situation. “It’s a meaning that’s constructed and it’s one based on a series of ethical choices with important ethical implications” (McDonald, 2008). This belief is further made apparent in Ole Wæver’s concept of ‘securitisation’ which states that issues or threats of security are indeed fashioned by political elites. The theory of securitisation and its branches of ideas hold important implications for asylum seekers and their place in social worlds. Indeed, the very notion of securitisation is making something that wasn’t a security problem into one and in particular, the declaration of security through so-called ‘speech acts’ creates “different versions of security” (Wæver, 1995). The issue of security then becomes a language game, as the various political players engage in speech acts (when securitising a situation) or speech act failure (when de-securitizing or playing down a situation). A selective use of language, or speech act, can then turn a chosen group of people immediately into a threat to the security of a nation. By labelling asylum seekers as a security issue the political elites automatically create a situation in the public’s minds – they are mediating something to appear in the way that they wish, through the use of their language and words. The language used is performative, which means that something happens through it that allows the elites to take certain measures to act against a (supposed) threat to national well being and they are entitled, by their use of language, to use measures to keep the nation safe. This is embodied by the concept of securitisation – the elites can shut down common day-to-day norms and even disband rights and freedoms in the name of security. More importantly, certain groups can be targeted and re-packaged as convenient threats. This use of language is not reflective of reality; it can be manipulated and constructed to suit a situation and “by uttering ‘security’, a state-representative moves a particular development into a specific area, and thereby claims a special right to use whatever means are necessary to block it” (McDonald, 2008). These are the abstract descriptions of security/securitisation via mediation but such processes play-out in real life situations, especially in a post-9/11 political climate where governments are able to ‘securitise’ situations and label them as terrorism by placing incidents into the context of 9/11. This is a useful tool for mediating and transforming asylum seekers into threats to national security and as justification for tougher immigration policies. The choice of words used to describe people and the language generally, mediates them in a particular way and paints them in a certain light, which in turn influences public perceptions and responses. What is interesting is the way that immigrants’ conduct is mediated to the wider public, potentially creating social panics and translating them into a threat by moulding negative ideas of asylum seekers, socially constructed as a drain on public resources during austere times. The language of security is powerful enough to allow influential people like politicians to construct an image of these weaker groups through processes of mediation that serve to protect their own interests. In the United States, for example, terrorism and immigration policies have become synonymous and dangerously intertwined. “Since 9/11, few immigration policies have been created without terrorism in mind. Instead immigration policy exists largely as a means of fighting terrorism” (Tumlin, 2004). The bombing of the Twin Towers is an event that has set a context for international security decision-making ever since and through the very act of mediation, what is presented to the general public is selected by something or somebody. The level of importance is attached to the information and whether it is exacerbated or played down, what is left in or taken out. Asylum seekers can therefore be mediated by translation, by introducing them into a different social world as a dangerous group, presenting a potential threat to security. This use of securitisation shows how situations can be mediated to shape social worlds. To build on these points we shall now take a more detailed look at one phenomenon that has recently taken place in British politics, the rise in popularity and electoral success of the United Kingdom Independence Party (UKIP). This example offers a stark illustration of how mediation helps influence perception and plays a key role in social worlds. The colourful rhetoric of UKIP plays into a fear of the unknown, mediating immigrants as the ‘other’, which is built upon by media outlets who highlight negative stories and use provocative images when displaying such groups as modern day folk devils engineered to create panic and security fears, again in a security-sensitive post-9/11 climate. “The large increase in different ethnic and racial groups as a result of increased migration patterns arguably provided a fertile ground for hostility to different others, and their stereotypical representation” (Watson, 2008). Immigration brings in more of the ‘other’ so UKIP can mediate it as a negative process which is always at breaking point. This is self-serving, because if immigration is mediated into a problem, UKIP can then put themselves forward as the solution. The mediation of immigration as a negative issue and a problem that constantly needs to be addressed, particularly fits in with UKIP’s anti-European stance due to the fact that European Union (EU) legislation, like the freedom of movement of EU citizens within the Eurozone, means that immigrants (such as Romanian and Hungarian gypsies for example) can, hypothetically, enter the UK and claim benefits, according the rhetoric. Because EU membership means these things are mandatory the EU can be displayed as undemocratic and the desire strengthens towards a complete detachment from the EU and its policy-making. Attacking EU politicians as ‘faceless bureaucrats’ who are enforcing undesirable customs on nations through the passing of laws. In a 2013 article from the Daily Telegraph, UKIP enjoyed election success on the back of the local electorates’ concerns of a rural area struggling to cope with immigration. Even though, as the article professes, the eastern Europeans are working and contributing to the local economy, “Ukip is keen to point out, the new settlers have also brought an unprecedented squeeze on local services and social upheaval” (Mason, 2013). They also increased fears of job security by warning of an influx of further immigrants when EU laws permit Bulgarian and Romanian workers to enter Britain by next year. The electoral success of UKIP puts pressure on the government to change its policy to keep in line with public opinion and pushes the immigration issues higher up the political agenda, forcing governments to act sufficiently to deal with the supposed problems or else be construed as weak. The anti-immigration stance mediates asylum seekers into a group to blame during hard times; they are supposedly getting handouts while others are struggling. The mediation of this message changes political responses to the conduct of the electorate as displayed by the recent UKIP success in local elections. These foreign nationals are mediated as threats to the social world that already exists so UKIP attach negative connotations to them to exacerbate the insecurity felt by local voters. Carefully deliberated performative language links social change and falling living standards to the ‘massive immigration problem’. The Module Review evokes a stronger sense of the wide meanings of security as not just being restricted to physical insecurities but also to psychological insecurities (Open University, 2012). This is emphasised in the Telegraph article by the perceived attack on cultural values and identity, with the author questioning immigrants’ commitment and attachment to their adopted nation. Even though the stance of UKIP and such parties often mediates a particular view of immigration and its supposed negative effects, it may be useful to briefly look at an alternative argument put forward on this issue. By putting asylum seekers into detention centres and immigration buildings, the governmental institutions are detaching them from the state. UKIP need to construct immigration problems and asylum seekers in a certain way in order to validate their arguments. However, as a Refugee Council extract shows, this issue could also be constructed in a different way, with immigrants being mediated as a positive aspect to the community with many beneficial elements. As we saw earlier with the issue of securitisation, the mediation of the -mostly right of centre- press touches on many aspects of the security issue. As our examples showed, asylum seekers are often mediated as threats to national security (through terrorism), but also as threats to economic security (regarding their perceived drain on benefits and social welfare) and even cultural security (by not speaking the language, bringing their own values into the country). But statistics and evidence from the Refugee Council aims to prove that asylum seekers and refugees do not get large handouts, that they do make a huge contribution to the UK and its economy and, contrary to popular belief, Britain’s asylum system is very tough. The Council also provide evidence of a UK Parliament briefing paper that breaks a myth that asylum seekers receive more benefits than UK pensioners (Refugee Council, 2013). The overall picture mediates asylum seekers in a completely different way. This serves to highlight how there is a great deal of interpretation involved with mediation and how the situation often rests on people’s background in social worlds. Some of our examples racialise subjects and mediate offence and anger into their rhetoric, similar to the speech acts and securitisation of language – particularly exemplified by UKIP’s use of performative language. Emphasising how language is a powerful tool rather than a neutral entity. Need help with your Open University studies? 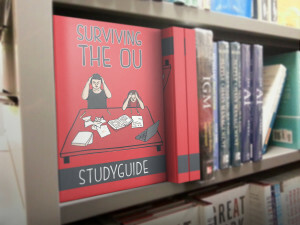 Check out our unofficial study guide. We shall now discuss why citizenship and passports are so important when it comes to asylum seekers and the mediating role that material objects can play in social worlds. The process of citizenship is highly mediated, it is not a natural process and mediation filters out those who are classed as desirable citizens and those who are not, using guidelines and requirements that are often subject to change as contexts change. The citizenship process may tighten up borders in keeping with a nation’s domestic political policies, its government in office or in the light of external events such as terrorist attacks. When an individual acquires citizenship to, for example, the UK or Australia, he/she takes on a national identity and is expected to adhere to a new set of responsibilities and allegiances (Open University, 2012). Passports have themselves played a crucial role in shaping the relationship between individuals and the worlds in which they live, by creating an attachment to nations and identities. Governments often construct an understanding of the types of immigrants, often with particular skills or attributes, that they wish to issue citizenship too. A passport holds information not only on an individual’s identity but also on what type of person they are, but, as we saw when discussing security matters, it can serve as a technology for maintaining national security. The passport system is an important artefact for creating social worlds and the authorities are able to mediate the process sufficiently to help create the social worlds they desire, which identifies with our earlier definition of social worlds. When governments are placed under pressure from the electorate or from opposition parties then immigration policies can change accordingly. Restrictions on border access, enforcing tighter passport control or a more difficult citizenship process for foreign applicants are all possible responses. If a person holds the passport of a country, they are then expected to conduct themselves in accordance to the expected norms and practices within that country. They are mediated into behaving as citizens in a certain manner, by entering into a different social world. By not holding a UK passport, for example, asylum seekers can easily be mediated in various ways to suit a situation. Passports serve to identify, verify and legalise individuals in the eyes of a nation, to not only confirm their identity but to ascertain their character and categorise them in a positive or negative grouping. The passport gives an identity to people who are often mediated as faceless, nameless or simply ‘problems’. Again, with UKIP’s disdain for the EU, membership of it allows immigrants a passage to Britain so it is in the interests of an anti-immigration stance to detach Britain from Europe. In these cases, the concerns of security and conduct are very closely linked. To emphasise these points we turn to Michel Foucault’s notion of governmentality or a ‘conduct of conduct’ where individuals are encouraged to self-regulate their behaviour in line with an established set of values or social norms. This concept also maps the change in the way people are organised and becomes relevant to our discussion via the citizenship and passport processes. The citizenship and asylum policies of the UK mean that the government reserves a right to decline undesirable applicants if necessary, but the governmentality comes in with an emphasis on individuals to respect and adopt social values and norms, integrate into the community and learn English to a functioning standard. The idea behind this act of governmentality is to produce British citizens in a natural way, changing them from the ‘inside’ through cultural integration. This helps to illustrate the sociological arguments being put forward regarding conduct, with governmentality persuading the individual to learn new habits and take control while presenting the impression that they are able to make their own decisions. The government is concerned with instilling habits and a process of self-transformation (Bennett, 2008). By registering the individual, things like integration, acquiring of democratic traditions and core values within the host country or, crucially, the requirement to learn the language to function within society are all mediated through the whole citizenship process to the individual. This point is more explicitly laid out by (Sydney citizenship officer) Maria Coles who describes how the Australian government implement language courses for applicants to attend but, “the onus does need to be on the person who’s becoming an Australian citizen” (Open University, 2008). In keeping with Foucault’s theory, individuals are effectively encouraged to govern themselves and regulate their behaviour by making a concerted effort to contribute to the local community and adopt cultural and societal norms that may be different from the nation in which they originate. This whole idea links back to our earlier discussion of security as the citizenship process aims to break down the myths and barriers of the ‘other’. As we saw with UKIP, it is easy to mediate unwanted foreign nationals as undesirables and mediate immigration as a dangerous problem with inherent security risks that threaten the comfort of the social world they are part of. The individual experiences a sense of inclusion in their new social world through the highly mediated citizenship ceremony. The ceremony translates the individual from one status to another by instilling a sense of belonging, a passage to a new life with an altered identity (Open University, 2012). The type of ‘proper’ conduct that the government desires from asylum seekers attaining citizenship is essentially mediated via the induction process and is embodied in the passport they receive. These requirements are mediated through the citizenship process to the individual and also through technologies of governance like immigration centres or immigration control that define the relationship between the individual and the social. Once the process is achieved, the passport is issued as a badge of identification that is used to enforce people’s attachments to social categories; a material artefact which regulates movement and confinement, managing conduct and enforcing security. The governmentality implies that if everyone is following the same set of social and cultural norms then, in theory, things run more smoothly and there are fewer threats to national security. In conclusion, the examples outlined show that all social experience is inescapably mediated in some way and mediation plays a decisive role in creating social worlds. As we have discovered, something is always mediating the social, whether it is an image in a newspaper, a material artefact, physical object or an idea. The discussion serves to bring together the key concepts of mediation, security and the impacts in social worlds, by using examples of how they interact with one another. We also looked at the passport, as a material embodiment of race and identity, creating an important link between the individual and production of social worlds. We went beyond the course material to investigate UKIP in relation to matters of mediation and securitisation, particularly through the use of performative language and speech acts, as theorised by Ole Wæver. This also highlighted how our focused group of asylum seekers can be mediated through translation. We also looked at Michel Foucault’s theory of governmentality and its relation to mediating national identity through citizenship and the way that citizens can be effectively organised from ‘within’ through meditation, matter and technologies of governance. Overall, these examples illustrate the vital impact that mediation has on creating the building blocks of social worlds. Bennett, T. (2008) ‘Habit, freedom and the governance of social conduct’, in McFall, L. et al (eds) (2008) Conduct: Sociology and Social Worlds, Manchester University Press, The Open University. Carter, S. (2008) ‘Introduction’, in Carter, S., Jordan, T. & Watson, S. (eds. ), Security: Sociology and Social Worlds, Manchester University Press, Open University. McDonald, M. (2008) ‘Global Security after 11 September 2001’ in Carter, S., Jordan, T. & Watson, S. (eds. ), Security: Sociology and Social Worlds, Manchester University Press. Refugee Council (2013) ‘Tell it like it is: The truth about asylum’ [Online] http://www.refugeecouncil.org.uk/ (Accessed 21 May 2013). Tumlin, K. (2004) ‘Suspect First: How Terrorism Policy Is Reshaping Immigration Policy’, California Law Review, Vol. 92, No. 4, [Online], Available at http://www.jstor.org/stable/3481320?seq=3 (Accessed 8 May 2013). Open University (2012) ‘Module review’, DD308 Making Social Worlds, [Online], https://learn2.open.ac.uk/mod/oucontent/view.php?id=144517 (Accessed 16 May 2013). Wæver, O. (1995) ‘Securitization and desecuritization’ in Lipschutz, R.D. (ed.) On Security, pp. 46–86 New York, NY, Columbia. Cited in Carter, S., Jordan, T. & Watson, S. (eds. ), Security: Sociology and Social Worlds, Manchester University Press. Watson, S. (2008) ‘Security in the city’ in Carter, S., Jordan, T. & Watson, S. (eds. ), Security: Sociology and Social Worlds, Manchester University Press. Watson, S (2008) ‘Citizenship’, in McFall, L., Redman, P., Watson, S., and Carter, S., (eds) DVD: Passports: registering the individual, DD308, Milton Keynes, The Open University.